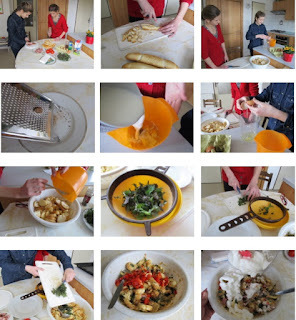 We chopped everything and did everything else according to the instructions. Of course, we washed the fresh nettles first. By the way, today it was rather difficult to find them and they are very small. We put the mixture onto the baking sheet (oiled and dusted with breadcrumbs) and baked in the pre-heated oven for about 25 minutes. In the meantime, we prepared the French salad following the instructions we had been sent. 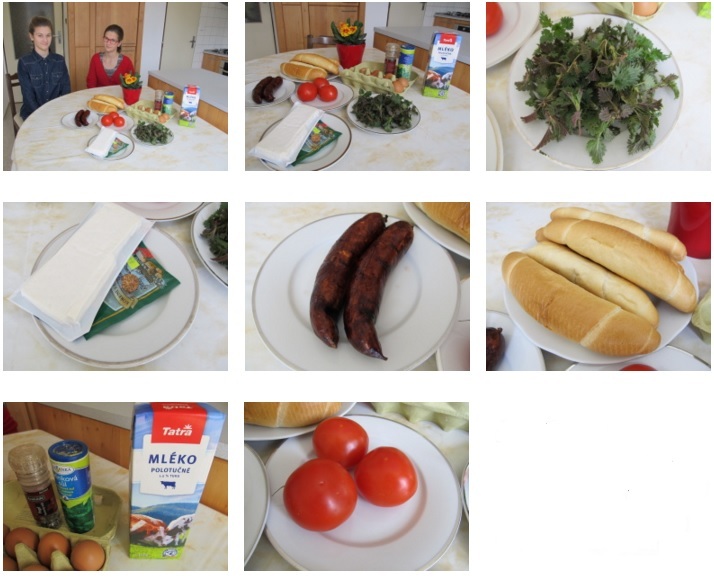 Then, we set the table and invited the girls´ mums to have lunch with us. 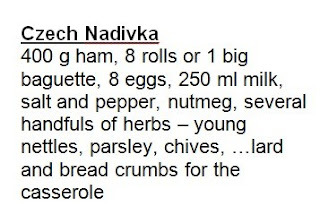 The "nádivka" was tasty but we kind of missed some meet and gravy as we are used to eat it with "nádivka". However, the French salad was delicious and really a good supplement.